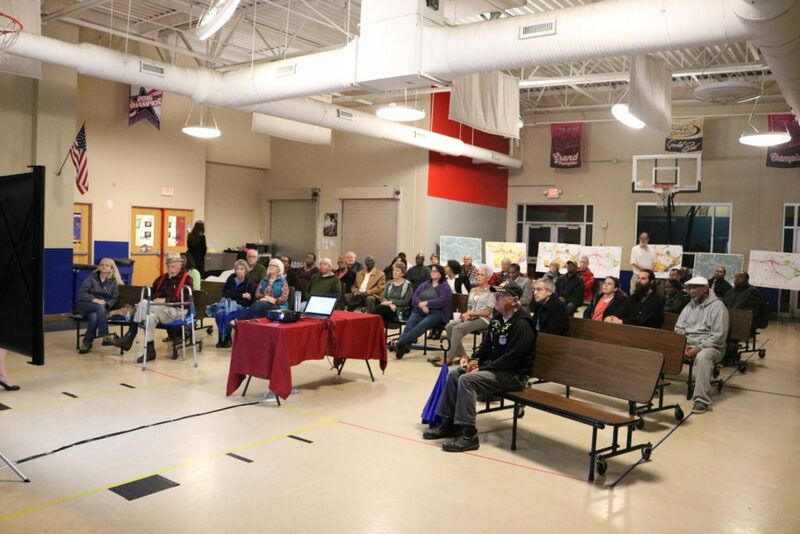 The final public input meeting for the Veterans Memorial Highway/Mableton Parkway design guidelines was held on Tuesday at the SAE School on Mableton Parkway. 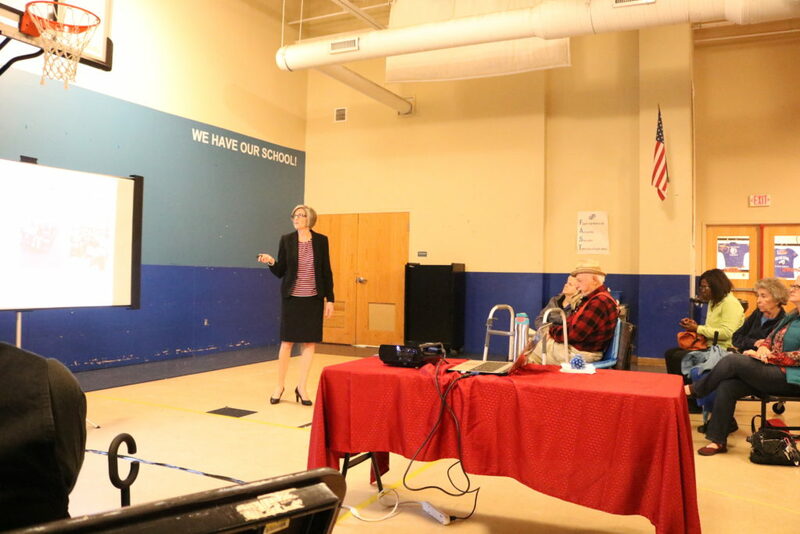 Cobb County’s planning division and the consultants on the project gave presentations and answered questions about the draft plan. District 4 commissioner Lisa Cupid was also on hand to field questions. What is the purpose of developing these guidelines? What will be the boundaries of the guidelines? The guidelines will cover Veterans Memorial Highway from Austell Road to the Chattahoochee River, and Mableton Parkway from its intersection with Veterans Memorial to the river. What are the highlights of the plan? The draft plan includes specifications for sidewalks and streetscaping. It also includes recommendations that adjacent businesses or complexes have direct access to each other, so that customers aren’t required to drive onto the main road to get to next door locations. The recommendations also include limits on the opening of certain businesses such as title loan companies, tire stores, pawnshops, liquor stores, and auto repair shops. This would not affect existing businesses but would limit the number of new businesses of those types along the corridors. One possibility mentioned by Jason Gaines, Cobb County planning division’s manager, is extending the specifications for lot sizes and building heights in the Mableton form-based code to Veterans Memorial Highway and Mableton Parkway. He said that between the nodes incentives would be created to encourage other types of residential and institutional uses, including parks. There would be four of the large activity nodes, at the intersections of Mableton Parkway and Veterans Memorial Highway, Cooper Lake Road and Veterans Memorial Highway, Oakdale Road and Veterans Memorial Highway, and Mableton Parkway at South Gordon Road. The smaller village centers would be at Chattahoochee Technical College, Providence Pavilion south of Buckner Road, Factory Shoals Road at Mableton Parkway, and Queens Mill Road at Mableton Parkway. At this point the consulting firm will come up with a finished draft plan to present to the planning division. The plan then has to go to the Cobb County Board of Commissioners for approval. How long will it take to see results from the plan? These design guidelines are a tool for long-term planning. Once they are adopted, new development will have to comply with them, but existing businesses are not required to upgrade. Incentives can be put into place to encourage them to do improvements to come into line with the guidelines, but according to the planners, it will be a long, slow process bringing the corridors into line with the specifications in the guidelines. 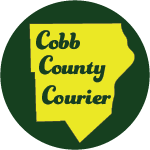 To read the complete draft visit the Cobb Community Development Department website and read the PDF of the draft design guidelines. 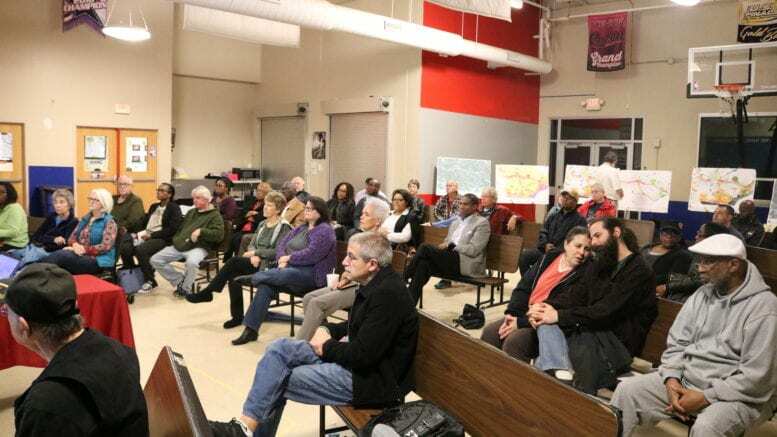 Be the first to comment on "Final public input meeting held for Veterans Memorial Highway/Mableton Parkway design guidelines"